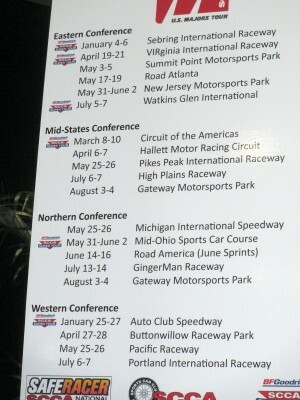 THREE SCCA RUNOFFS VENUES ANNOUNCED. 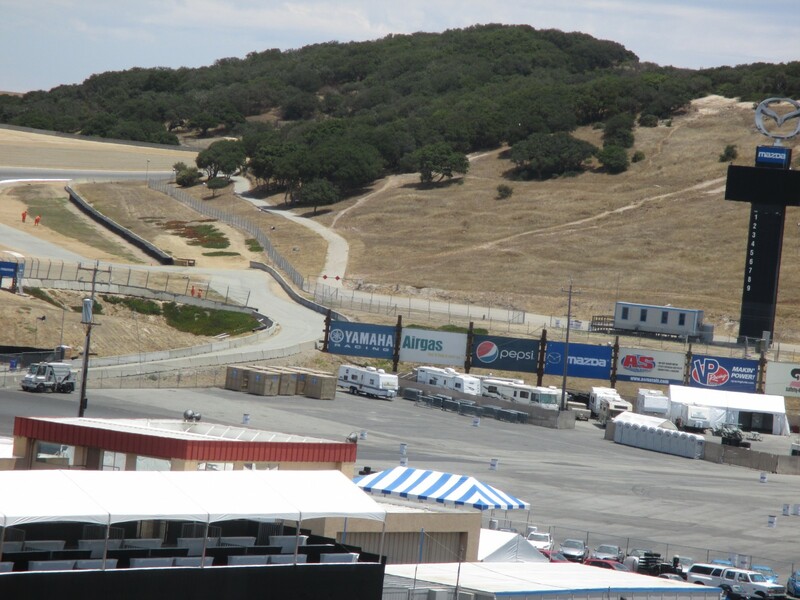 Mazda Raceway Laguna Seca will be the site of the 2014 Sports Car Club of America National Runoffs. SCCA President & CEO JEFF DAHNERT made the announcement via live streaming broadcast Wednesday noon from the noted Northern California race track. Also present for the announcement were GILL CAMPBELL, President/CEO of SCRAMP-Sports Car Racing Association of Monterey Peninsula; and DEAN CASE of Mazda Motorsports. SCCA is moving to an annual and geographic Runoffs rotation. 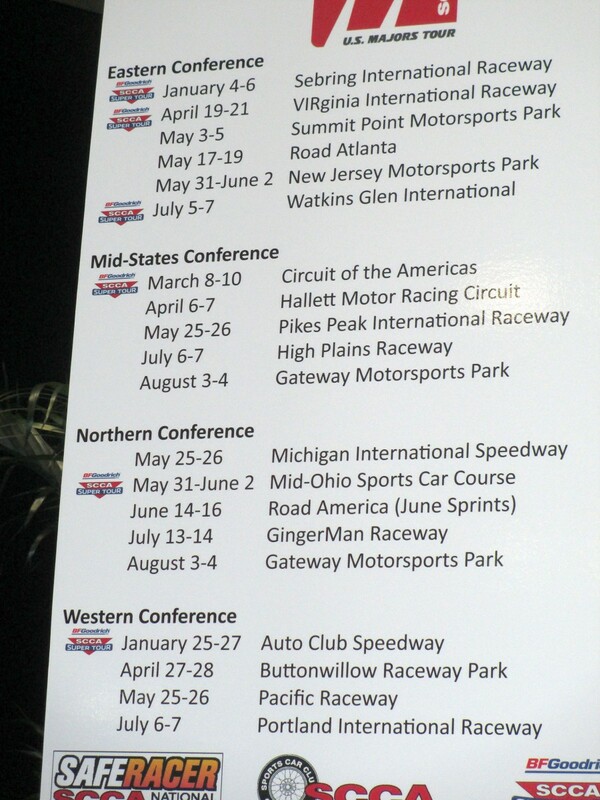 For 2015, the Runoffs will be at Daytona International Speedway on the road course, and back at Mid-Ohio Sports Car Course in 2016. Mid-Ohio hosted twelve Runoffs, from 1994-2005. 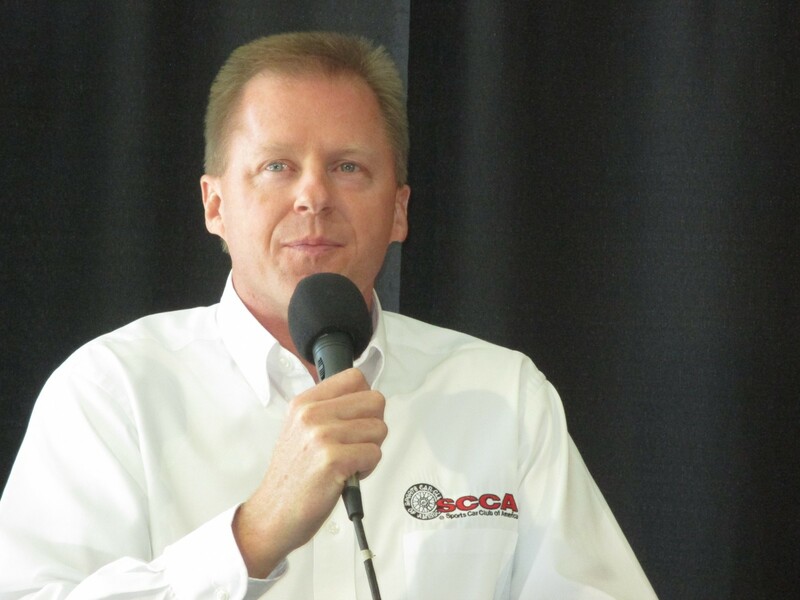 Dahnert acknowledged the hard work of SCCA Vice President Club Racing, TERRY OZMENT, who has labored for the past year on the selection process. 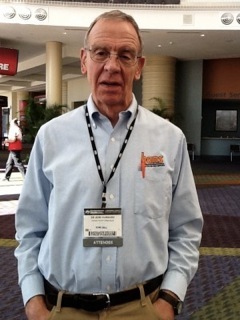 This is the first time since 1968 that the event has been on the West Coast. In 1964, the now long-gone Riverside International Raceway hosted the Inaugural Event. 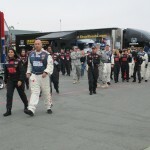 For six years back in the day, the Runoffs rotated back and forth between Riverside and Daytona International Speedway. 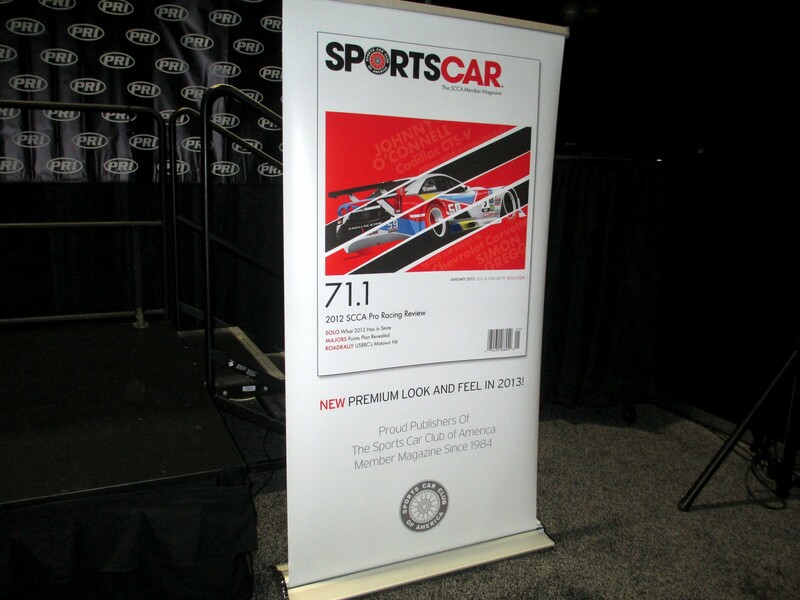 SCCA, founded in 1944, is the premiere club racing organization in the United States, with more than 60,000 members divided among 115 regions in the 50 states. The National-licensed drivers are the most experienced in club racing, and there are 28 National classes competing in this year’s Runoffs at Road America. No specific 2014 dates have yet been announced, only that the Runoffs will be held during the ‘usual time’ which means mid-September to mid-October. Campbell said it is hoped that all the pieces in the Rubik’s cube puzzle of scheduling will be in place by August or September of this year. Campbell and BO BERESIWSKY, SCRAMP Vice President of Facilities and Event Operations, have been trying for eight years to host this event. This is truly the sports car enthusiasts’ heaven. 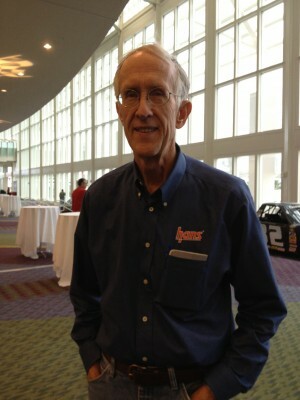 Campbell likened the Runoffs to the Super Bowl or the Olympics of amateur racing. 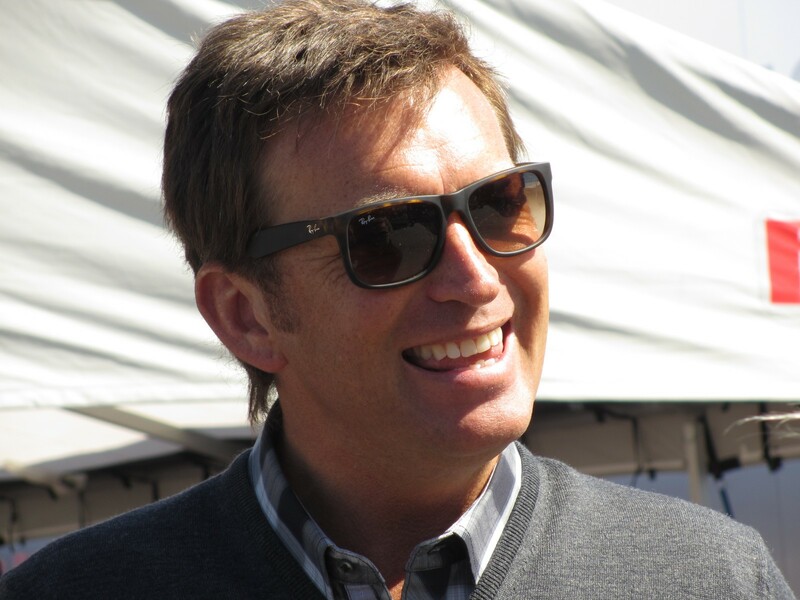 Dahnert compared and contrasted club racing with professional racing – like NCCA to NBA. 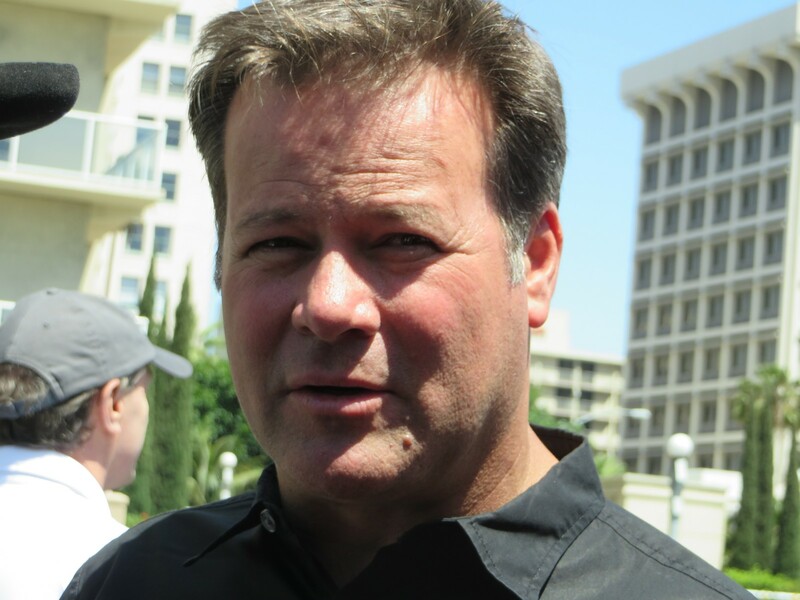 Campbell said the Runoffs will have a huge economic impact on the Monterey Peninsula. Among other things, that means 7500 hotel room nights, plus all the business for the locals who cater to visitors and people in town for a week. 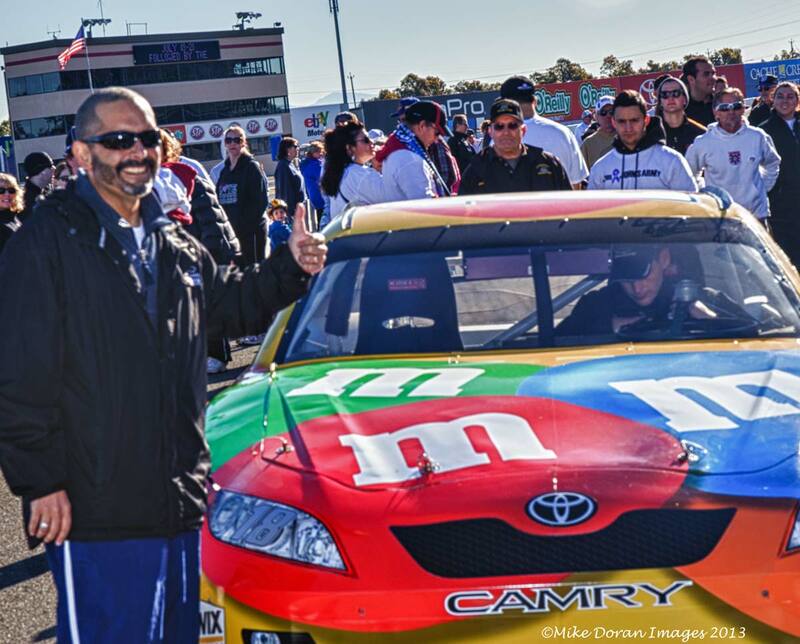 MRLS will be promoting spectators for the three-day back to back weekend days of racing. As MRLS is the furthest West drivers have had to tow in the past 45 years, it is somewhat of an unknown how the car count will go. One the one hand is the long tow for the Easterners – a tow the West Coast drivers have had to make for years. 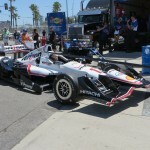 On the other hand, there is the pent-up demand by the Left Coast drivers wanting a race closer to home. But, even using a low-end number, Dahnert estimated there would be a pretty significant number of entrants. Ozment said there will be a Tow Fund, and details are being worked even as we speak. This year’s Process to Runoffs includes running the new Majors series within one of the four US areas, or qualifying the traditional way by running local National races. 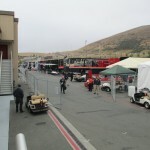 Laguna Seca will be just the seventh Runoffs venue. Other circuits hosting the Runoffs were Road Atlanta for 24 years, Mid-Ohio-12, Road America-five including 2013, Topeka-five, and three each for Daytona and Riverside. 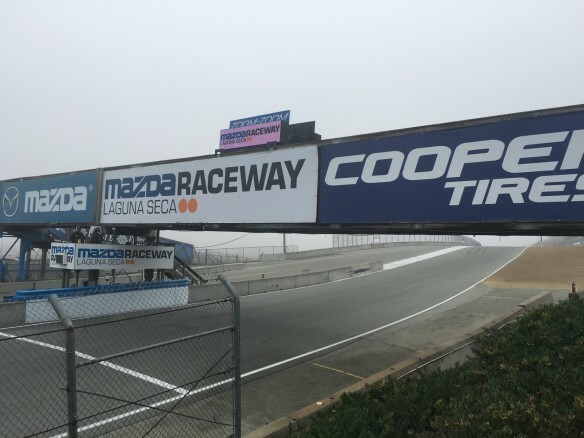 The 2014 event will hold special synergy for Mazda, as Mazda serves as both the track’s title sponsor of Laguna Seca, and as the official car of the SCCA. Mazda also has more cars/engines at the Runoffs (25 percent) than any other manufacturer. 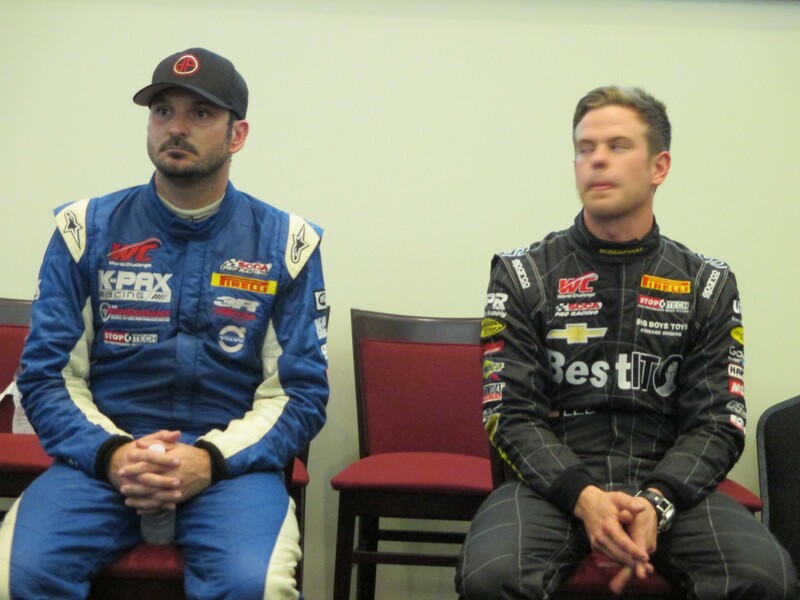 “Club Racing is the heart and soul of Mazda Motorsports,” Mazda Motorsports Director John Doonan said. 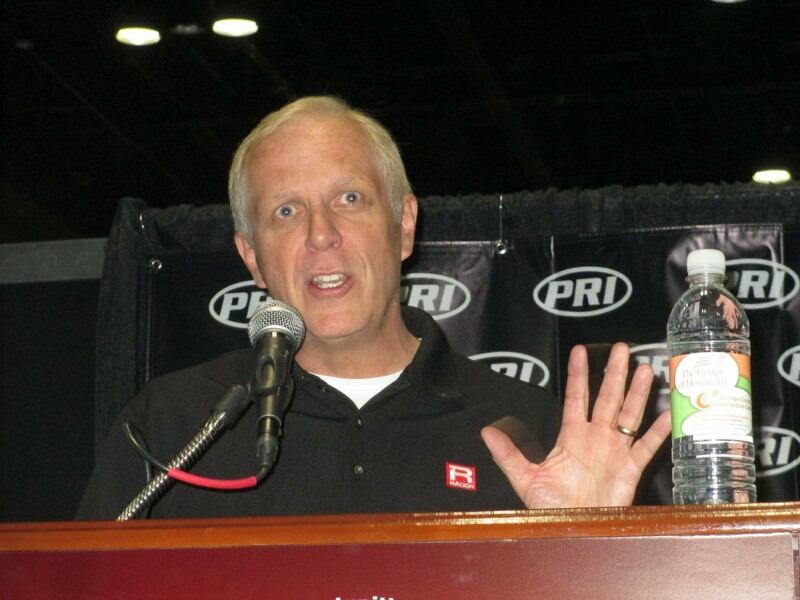 “We are proud to help bring the biggest club racing event in the country to our home track for 2014. Morning comes early at the street circuit at St. Petersburg and things are bustling, getting ready for day two of the Honda Grand Prix. The sun is coming up over the harbor, teams are unpacking and setting up. 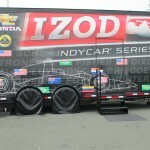 In the IZOD IndyCar paddock, teams are pushing their cars through the line for Scrutineering. In the support paddock, cars are getting ready for their morning sessions. The weather is definitely overcast but away from the harbor, the temperature is quite mild and fresh – from a slight breeze and the drying tarmac after Friday night’s rain. 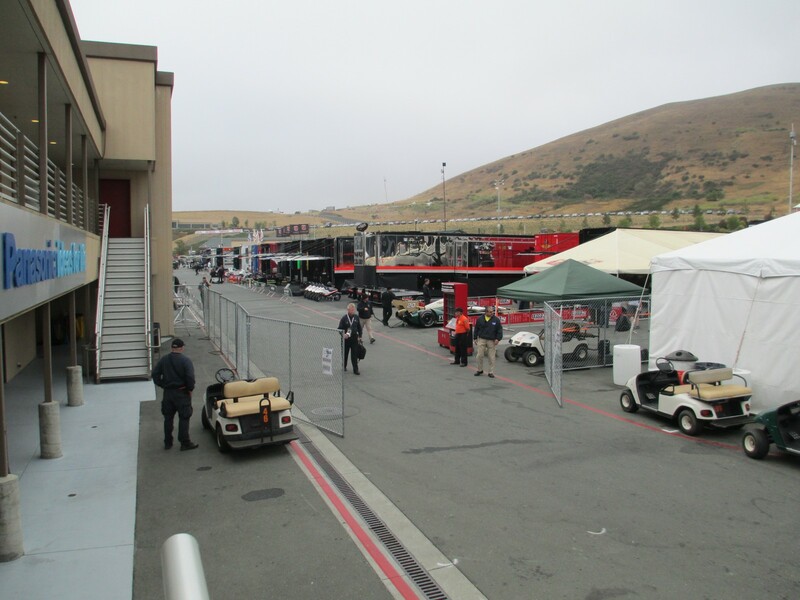 It’s a nice, long walk from inside the track in the Media Center, over the Honda Bridge to the support paddock, which seems to go on for miles. 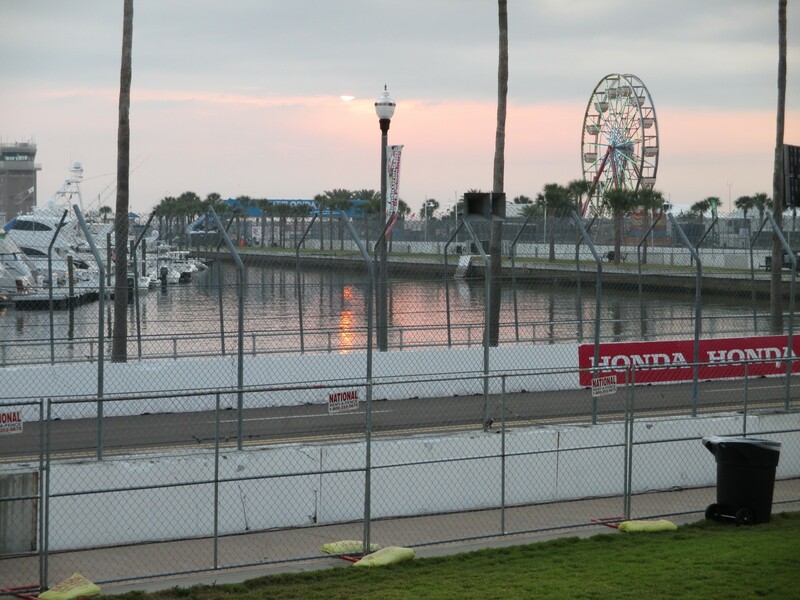 By the time IndyCar has its third and last practice, the Cooper Tires USF2000 Series and the Pro Mazda Championship Series will have held their Qualifying sessions for races later in the day. The Pirelli World Challenge Series had its qualifying late Friday afternoon, for its late Saturday afternoon race. 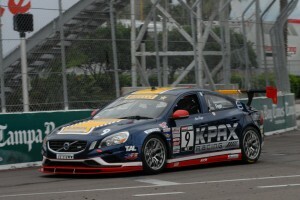 ALEX FIGGE/K-PAX Racing Volvo S60 took the GT and overall pole position, with a lap of 1:15.686/85.616 mph. It was tough and go for GT pole position, with Figge besting JAMES SOFRONAS/GMG/Mobil 1 Audi R8 LMS. Fifteen of the 40 WC cars are in the GT category. 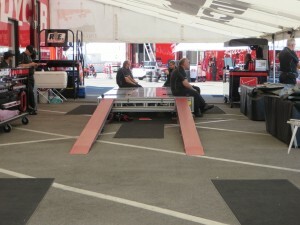 In the larger GTS group, JACK BALDWIN/Motul/Stoptech Invoice Prep Porsche Cayman S took pole in a frantic competition. 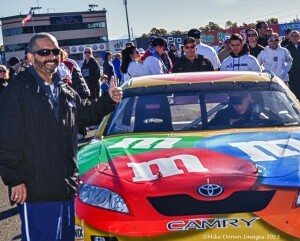 The long-time veteran racer lapped the 1.98-mile street circuit at 1:20.467/80.530, a record break time. Outside front row driver, ANDY LEE/Best IT Chevrolet Camaro and third-placed GTS driver, PETER CUNNINGHAM/Acura/HPD/RealTime Racing Acura TSX were faster than the existing track record. Baldwin’s log-time buddy, BUZZ McCALL/GT Sport Racing with Goldcrest Porsche Cayman S came out of a long retirement to run the race. Alas, his day ended with a hard hit to the Turn Three wall. McCall was alright, but the car was night. It was determined too damaged to repair for Saturday’s race. 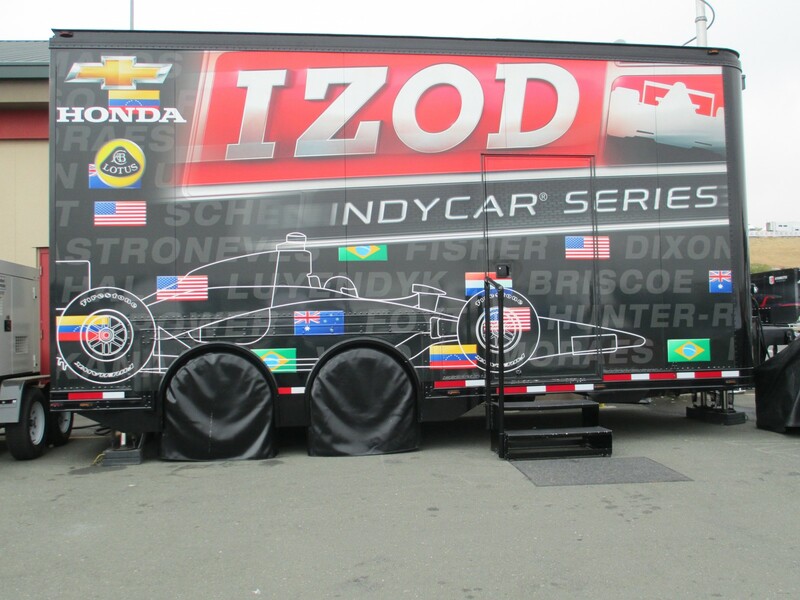 After a six-month long hiatus from racing, the IZOD IndyCar community is rarin’ to go. Driver after driver after driver referenced the long off-season and how eager he or she is to get back to the new season and even better racing. 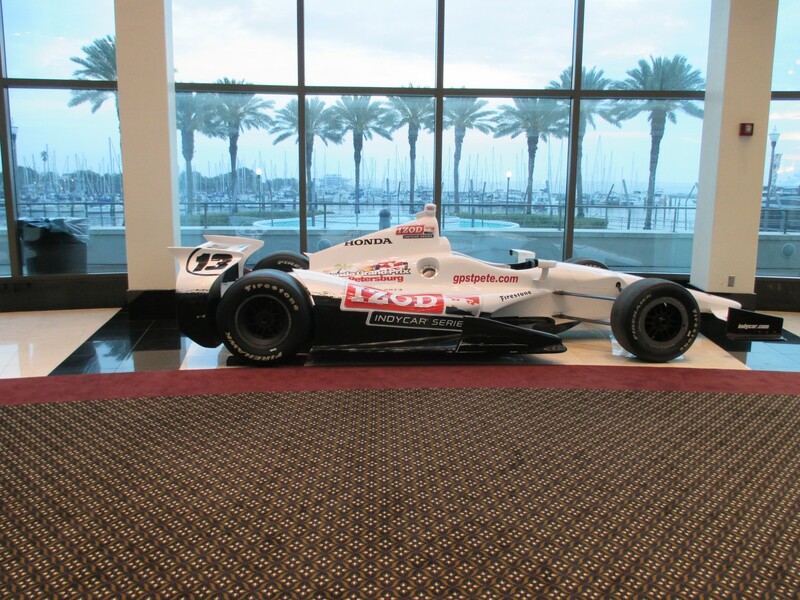 What could be better than the season’s opener on Florida streets for the Honda Grand Prix of St. Petersburg. It’s a full bill, with Firestone Indy Lights, SCCA Pro Racing Pirelli World Challenge, Pro Mazda Championship Presented by Cooper Tires, Cooper Tires USFF2000 and Historic Sportscar Racing. The weather is lovely and promises sunny and warm most of the time. Although isolated thunderstorms are predicted throughout the weekend, who knows. Fingers crossed. 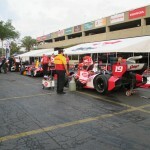 IndyCars have a full complement of 25 drivers running all nineteen races. Thirteen run Chevrolets, and twelve drive Hondas. One driver, TRISTAN VAUTIER/Florida Lottery/cw Schmidt Peterson Honda is the only IndyCar Rookie, but as the 2012 Indy Lights champion, he’s already run the St.Pete street course. 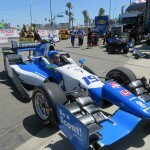 Vautier isn’t the youngest kid on the block … or in the IndyCar paddock. 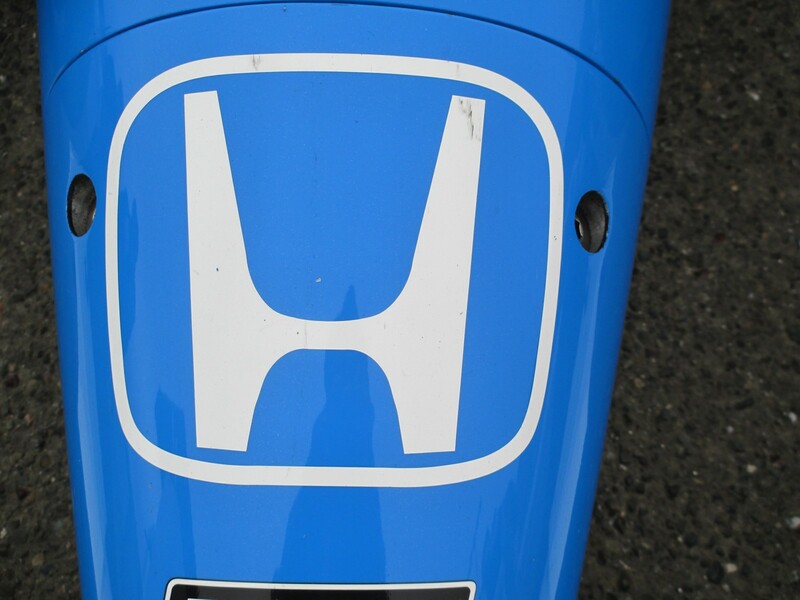 That honor falls to JOSEF NEWGARDEN/Sarah Fisher Hartman Racing Honda, who will be 23 this year. 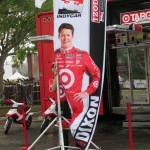 At the other end of the spectrum, DARIO FRANCHITTI/TargetChip Ganassi Racing Honda is the most senior driver. He turns 40 on Bump Day this year. 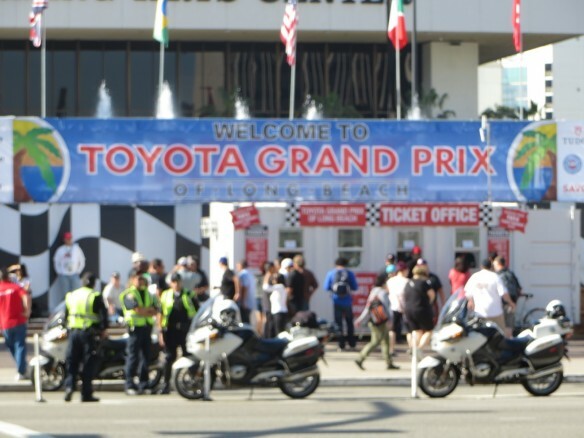 The race will run an extra ten laps, for 110 in all, totaling 198 miles/318.7 km. The 1.8 mile/2.897 km course has 14 turns. In response to driver input, Firestone has come up with a grippier, softer alternative (red) tire, which is hoped to provide more passing and competition. 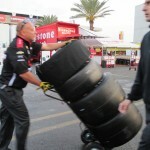 Each driver gets 24 primary (black) tires and 12 reds. 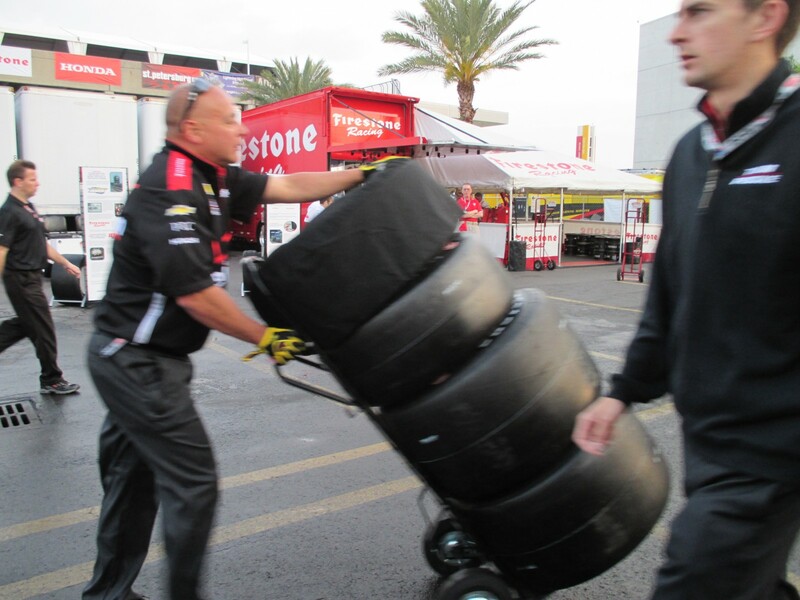 Five sets of rain tires are also part of the equation, if needed. 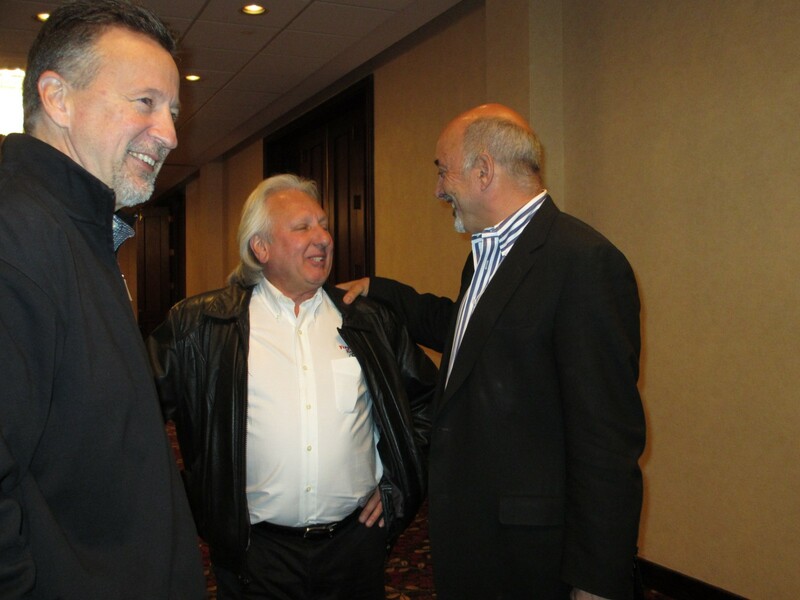 This race weekend will be additionally special for Firestone, as it marks the retirement of long-time Firestone Manager of Motorsports, JOE BARBIERI. Thursday afternoon, the Dan Wheldon Memorial monument was unveiled in Albert Whitted Park, with Wheldon’s widow, Susie, and two sons – Sebastian and Oliver. 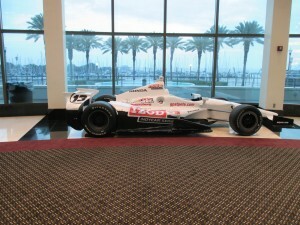 Also unveiled was the Victory Circle monument, honoring the past winners of the St.Pete street race. 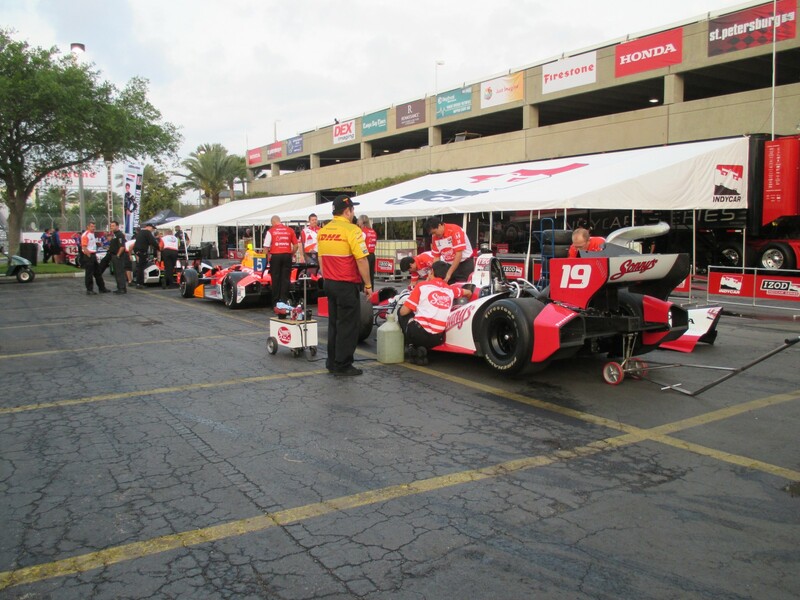 The Indy Lights Series St.Petersburg 100 Race has nine drivers, five Rookies. The Mazda Ladder series, The Road To Indy, has two series running this weekend – the new Pro Mazda Championship with 12 drivers; and the USF2000 Series 31 drivers. The HSR vintage group has 25 drivers, with cars ranging from a 1961 MGA MKII to a couple of 2009 Porsche Caymans. The largest field honors go to the Pirelli World Challenge Series, with 41 entries. 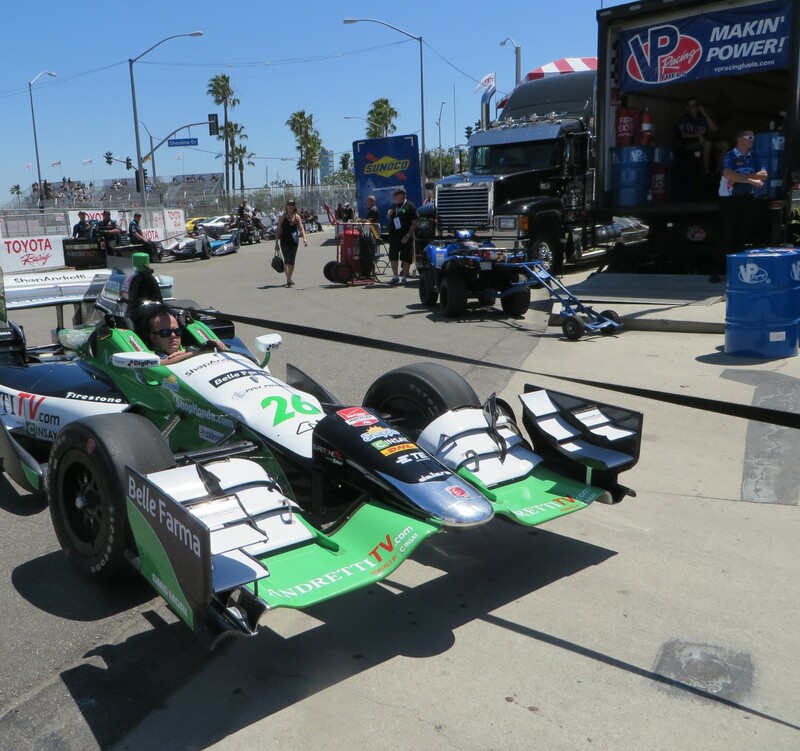 As far as I can tell this weekend, the IndyCar series is the only group with known female drivers – season’s regular, SIMONA de SILVESTRO/KV Racing Technology Chevrolet; and ANA BEATRIZ of Brazil, who was just signed by Dale Coyne Racing, for the St Pete race. 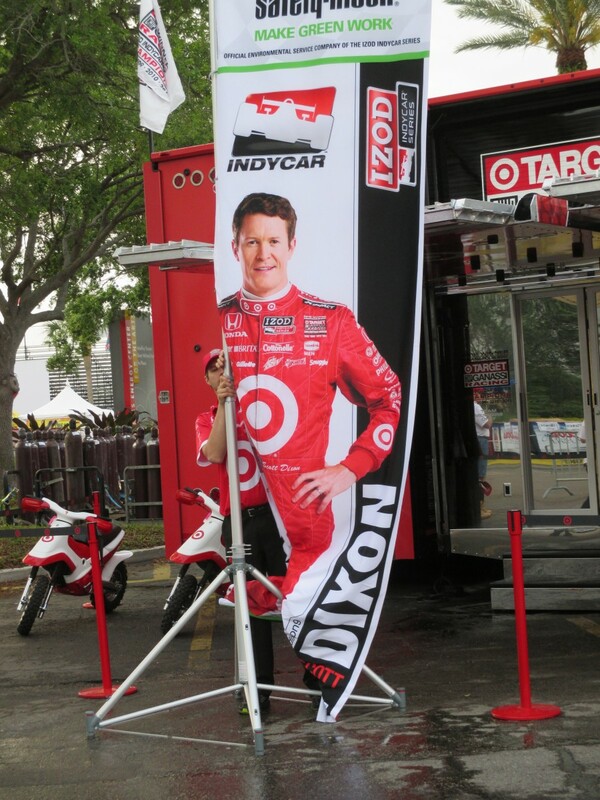 Coyne’s plans for the second seat on his Honda team haven’t been made known. 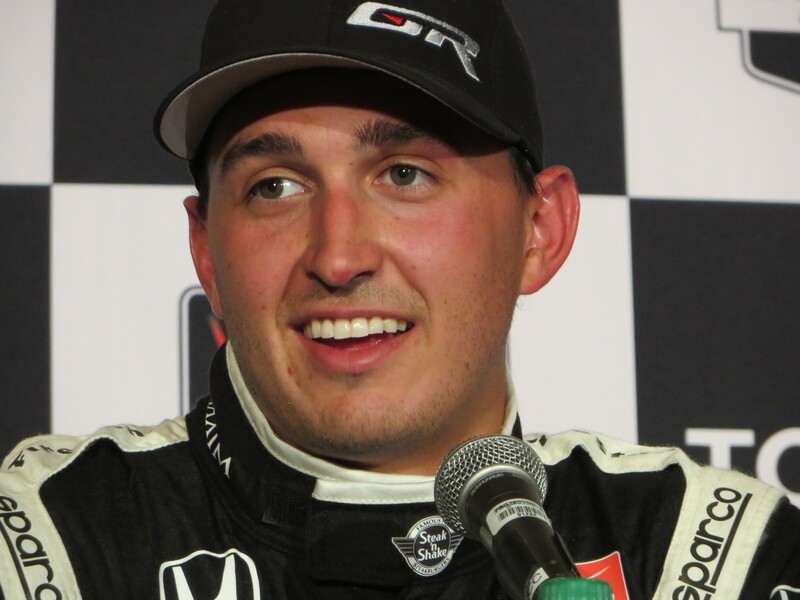 Both Beatriz and STEFAN WILSON, younger brother of Coyne’s regular driver – JUSTIN WILSON – tested with Coyne recently at Barber Motorsport Park. There’s talk of the two splitting the ride. Stay tuned. So far, by mid-morning the weather is clearing, with partly sunny but chilly weather. 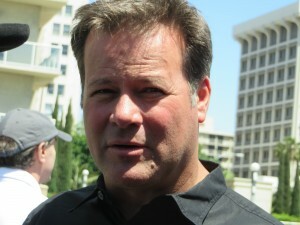 IndyCars have two Friday forty-five minute practice sessions. All series practice and World Challenge ends the day with a qualifying session. 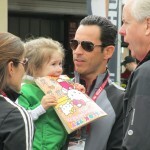 John Cardinale at the recent Beat Stomach Cancer Charity Walk at Sonoma Raceway. Photo by Mike Doran. 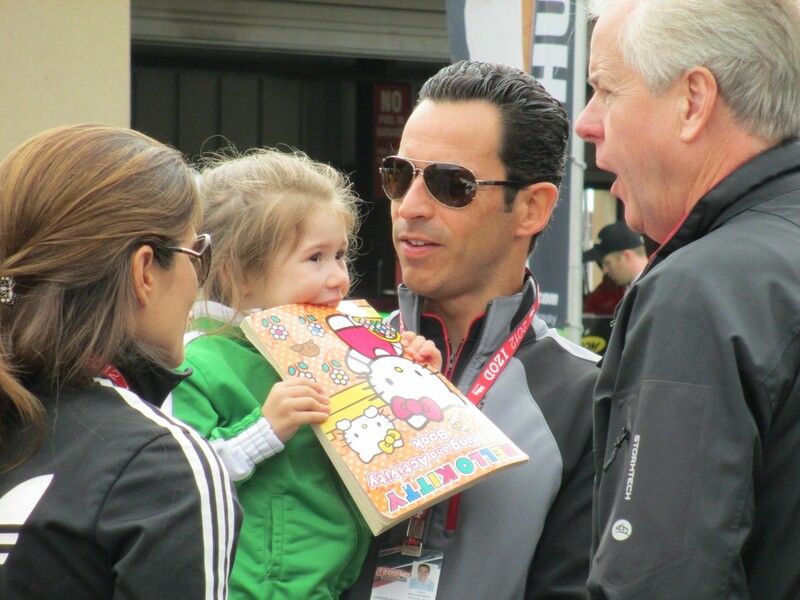 On another note, it with a sad heart I write that JOHN CARDINALE, VP of Media & Community Relations at Sonoma Raceway, has lost his valiant battle with stomach cancer. 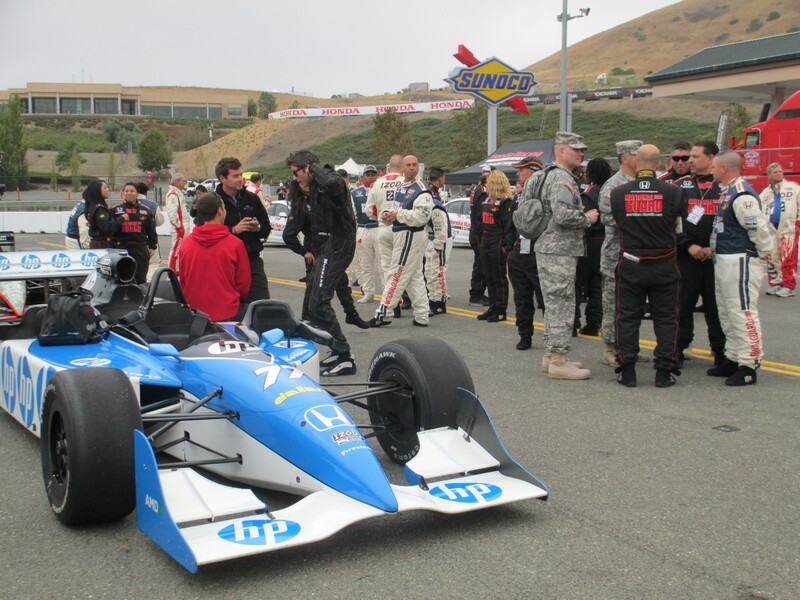 Sonoma Raceway hosts the August round of the IndyCar Series. RIP John. 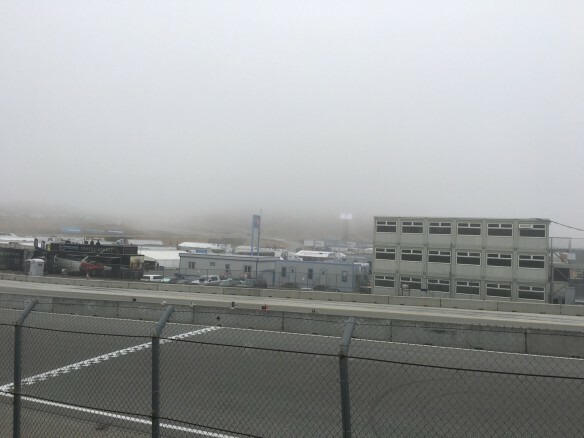 ………………………It started out foggy first thing Friday morning at Sonoma for the first of three days of race with IZOD IndyCars and the Pirelli World Challenge Sports Car Wars. 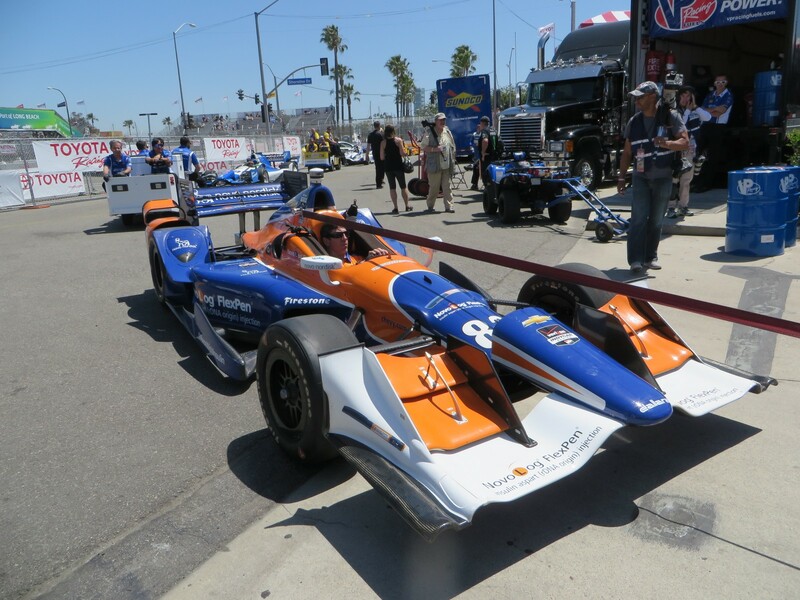 But, the sun was quick to shine, in time for the morning rides in the IndyCar two-seaters and Pace Cars. 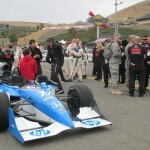 IndyCar has a pool of drivers from which it draws each weekend to be the chauffeurs for these rides. 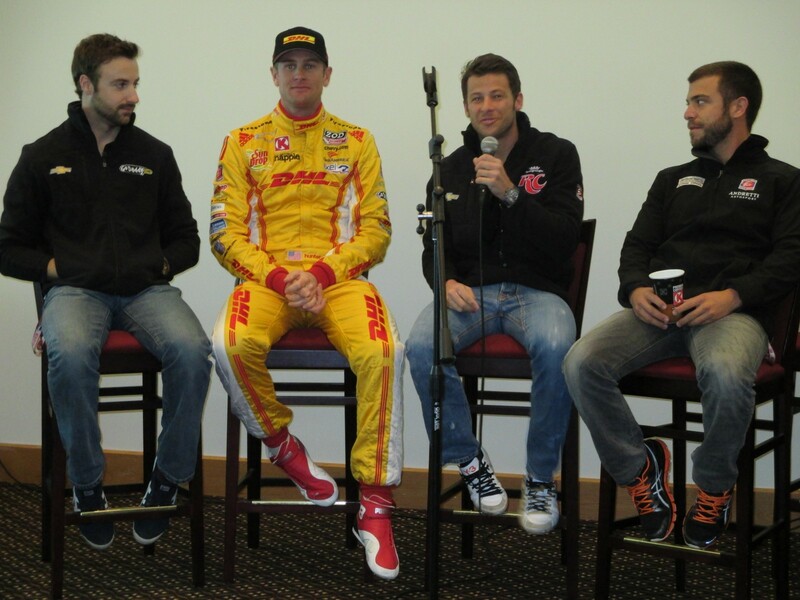 This weekend they are MARIO ANDRETTI, LOGAN GOMEZ, DAVEY HAMILTON, ARIE LUYENDYK and ARIE LUYENDYK Jr. 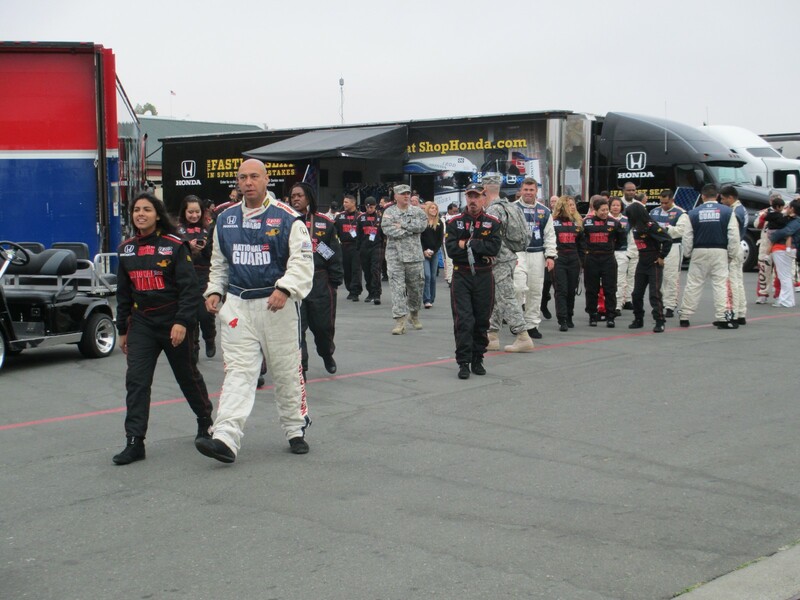 Among the lucky passengers Friday morning are the invited guests of Panther Racing – National Guard troops and first responders such as firemen, policemen, medical personnel, etc. 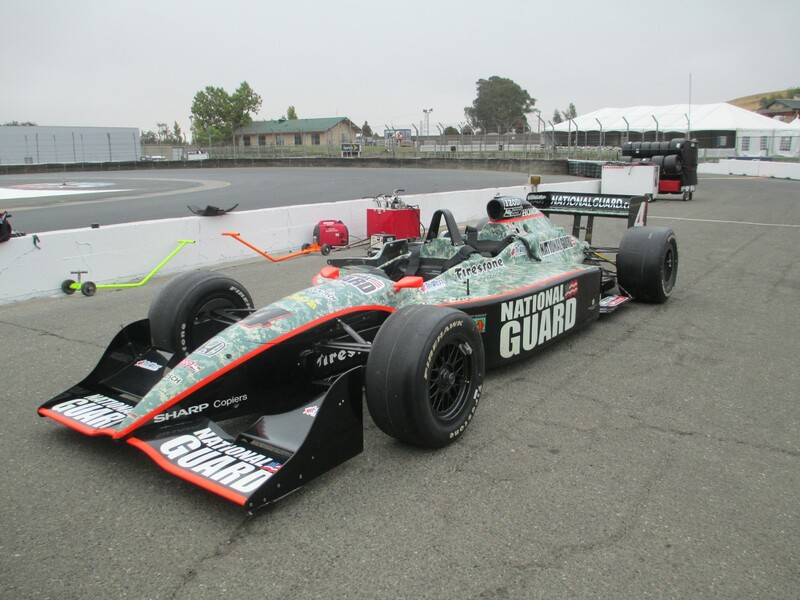 One of the two seaters is decked out in National Guard livery. The Panther Race Car will have a special paint scheme for the weekend, but the car is not yet seen in the paddock. IndyCars aren’t on track until 2:30pm local time, after World Series qualifying. 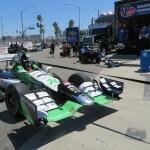 The sports cars had their practice sessions Thursday, and Friday midday they Qualify. 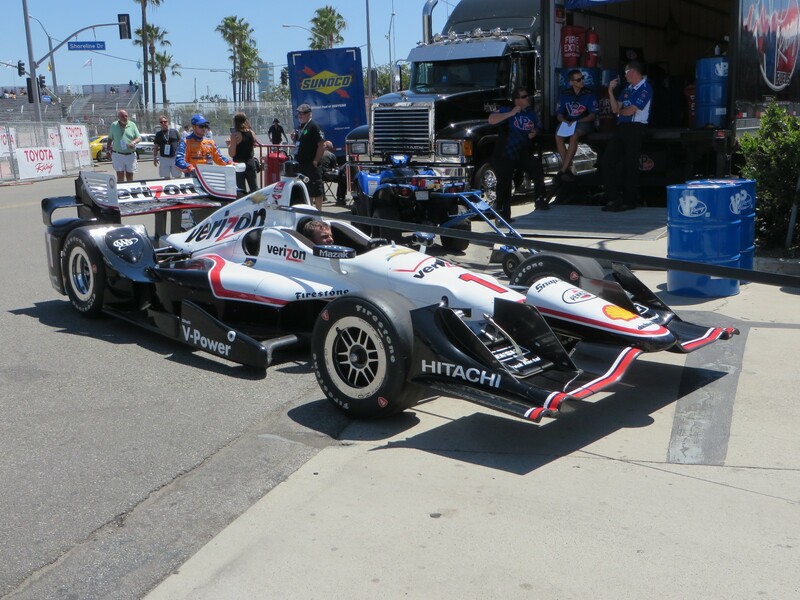 The only driver sighting I had on my first stroll through the relatively quiet garage was HELIO CASTRONEVES/Penske Truck Rental Chevrolet. 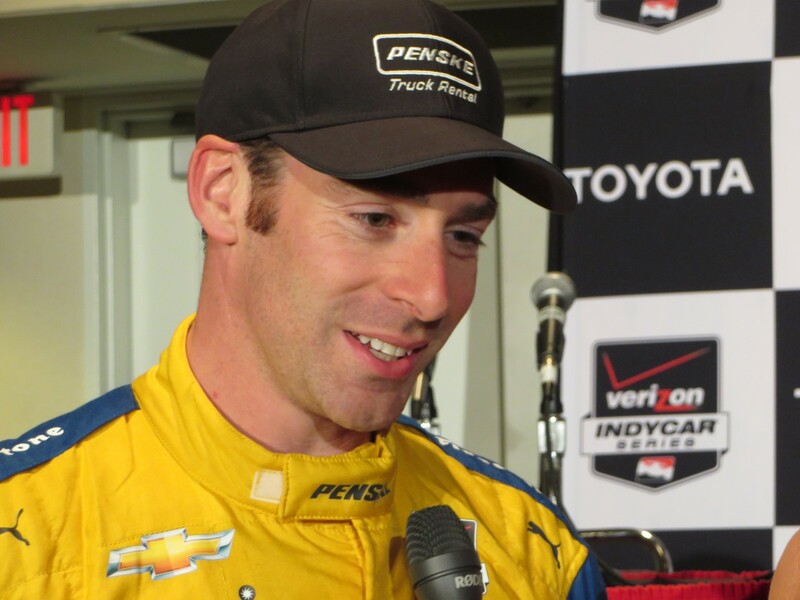 Twenty-seven IndyCar drivers are entered, two more than usual. 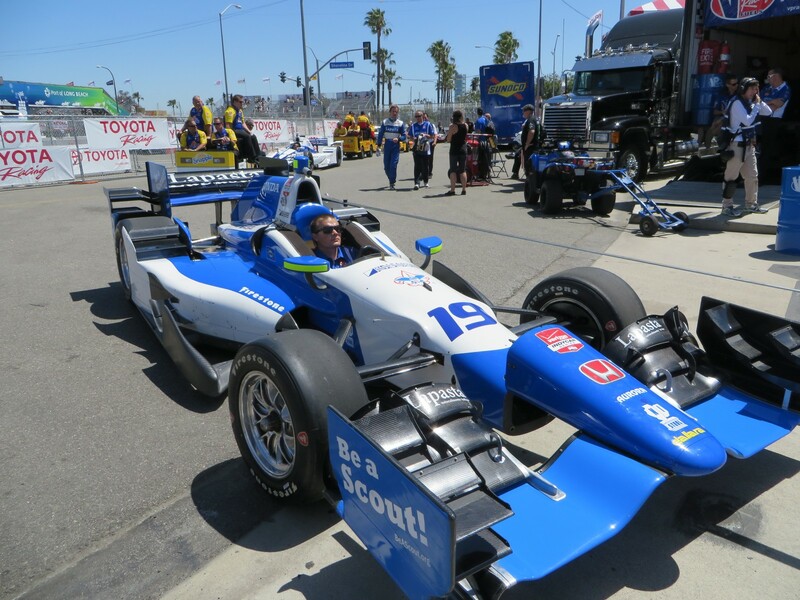 Andretti Autosport has added SEBASTIAN SAAVEDRA from Colombia to No.17 AFS Racing/Andretti Autosport Chevrolet; and Rookie KATHTERINE LEGGE of England joins SEBASTIEN BOURDAIS of France driving for Dragon Racing. Each will be sporting TrueCar sponsorship on their Chevrolets. 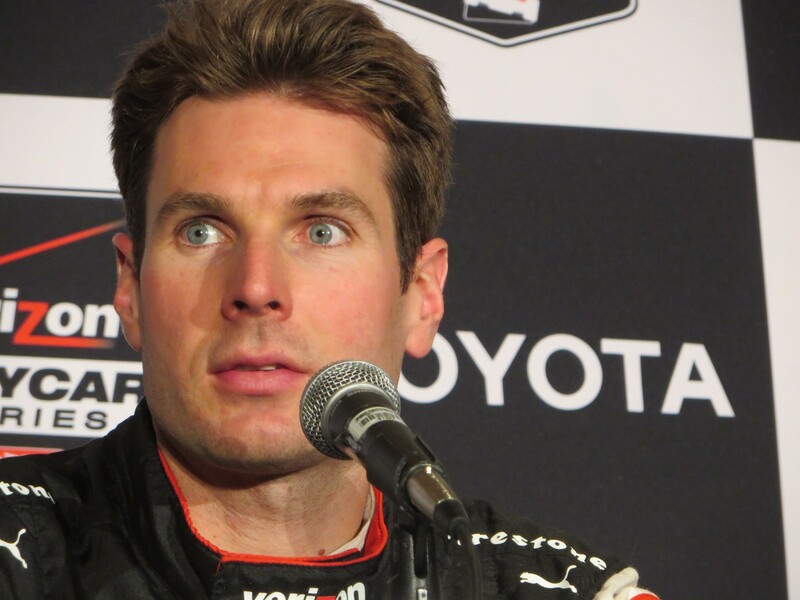 Legge joins this year’s youngest driver, JOSEF NEWGARDEN of TN/Sarah Fisher Hartman Racing Honda, and SIMON PAGENAUD of France/Schmidt Hamilton HP Motorsports Honda in the Rookie category. 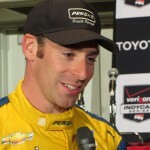 Pagenaud is currently leading those standings by 137 points, and if he finishes eighth or better this weekend, he will clinch the Sunoco Rookie of the Year Award. Also, he still can take home the trophy if he finishes 107 points ahead of Newgarden. Those two are the only Rookies running the full season. Legge has run selected races. 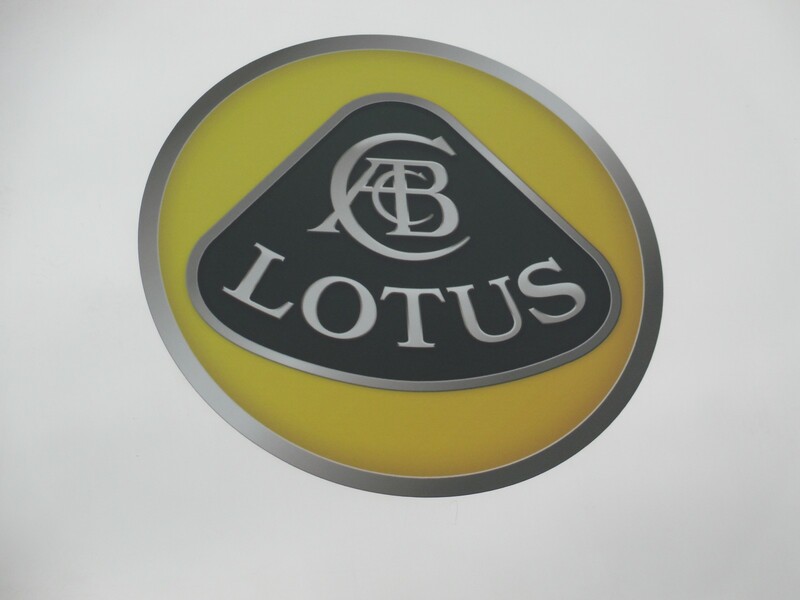 In another points race, this weekend could see the clinching of the engine Manufacturer’s Championship. 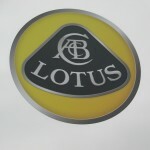 Chevrolet leads with 96 points to Honda’s 84 and Lotus’ 48. 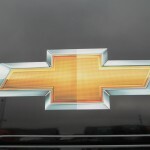 If Chevrolet wins this weekend, they win for 2012. 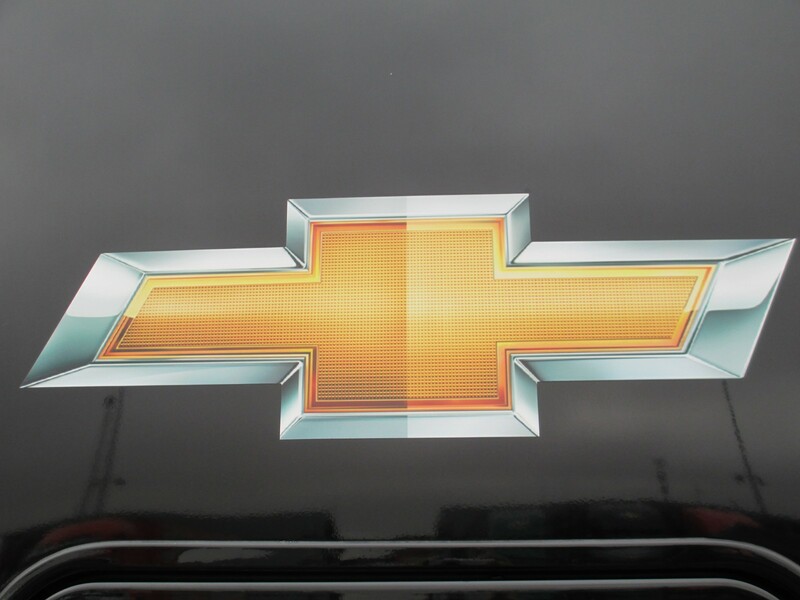 Chevrolet has 15 drivers, Honda-11; and Lotus one. 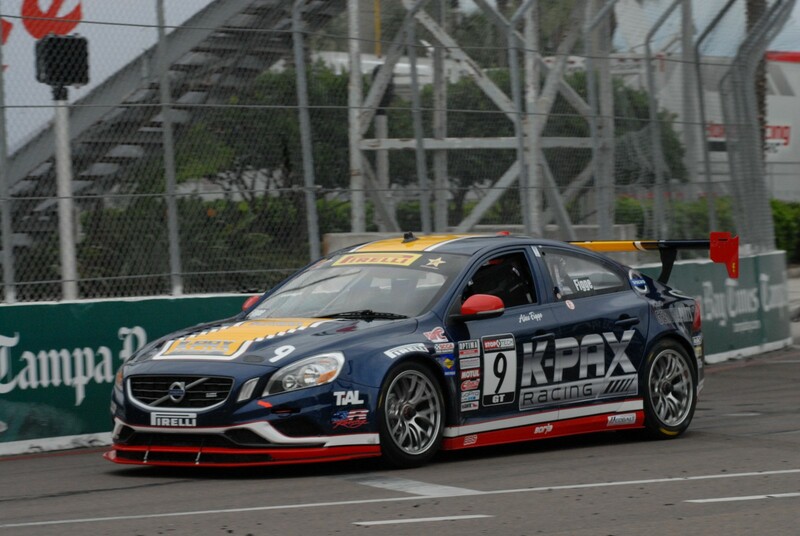 RANDY POBST/K-Pax Racing Volvo S60 has the overall and GT Class pole position for Saturday noon’s one-hour race by the SCCA Pro Racing Pirelli World Challenge Series, with a time of 1:26.361/93.292 mph. 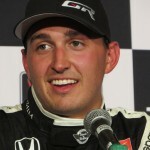 It didn’t break his lap record of 1:25.499/94.232 mph set last year. Pobst won the race in 2006 and 2002. Qualifying mid-afternoon Friday at Mazda Raceway Laguna Seca was held in 63 degreeF sunshine, under blue, cloudless skies and flags waving briskly in the crisp breeze. 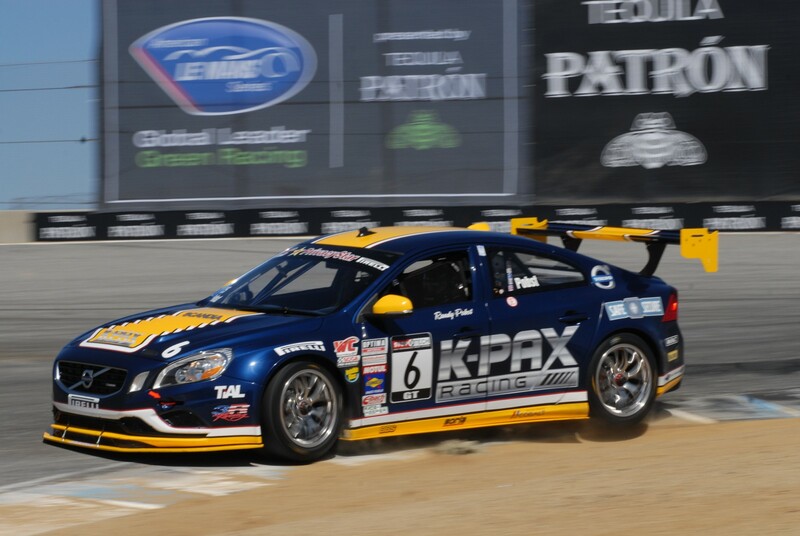 Second and third fastest overall/GT were ANDY PILGRIM/Cadillac Racing Cadillac CTS-V Coupe, who won the 2007 GT race, and 2011 GT race winner, MIKE SKEEN, now driving the Hawk Performance Nissan GTR. The fastest speed I saw on the Start-Finish radar sign was 135 mph, but no idea by whom as the actual radar is positioned up near Turn One out of sign. PD CUNNINGHAM/Accura/HPD RealTime Racing Accura TSX set the only qualifying record in the session, turning a 1:33.094/86.544 mph in the GTS class, besting last year’s time of 1:34.178/85.548 set by PAUL BROWN in a Mustang. The top five in class all were faster than last year’s time. Second and third in class were JACK BALDWIN/Voodoo Ride-Inv Prp/Hot Wheels Porsche Cayman S and NICK ESAYIAN/Acura/HPD/realTime Racing/Accura TSX. TRISTAN HERBERT/HPA/RennGruppe/Brimtek/SGRcng Volkswagen Jetta GLI was tops in the TC (Touring Car) class at 1:39.156/81.253. TODD LAMB/National Karting News/HPD/Honda Civic Si and Herbert’s teammate, JEFF ALTENBURG. The World Challenge Series has the largest field this weekend with 43 cars. Two cars will start at the rear of their respective class field. LAWSON ASCHENBACH/Privacy Star/Entrust/TruSpeed Porsche 911 GT3 GT did not qualify as he’s commuting this weekend between Laguna Seca and New Jersey where he competes in rival series, Grand-Am Rolex Sports Car Series. Last year Aschenbach won the TC class. 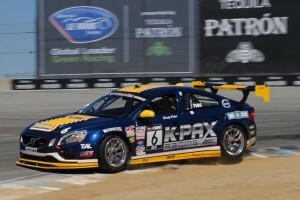 ROBB HOLLAND/Emich RacingVolkswagen Jetta GLI was a late entry in TC, and broke his car during practice. 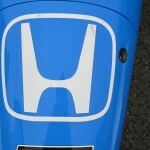 The car is being repaired, so Holland can at least start the race. Both SCCA’s series this weekend will have standing starts. There are three Canadians and 40 Yanks in the field, and five of the group are Rookies. 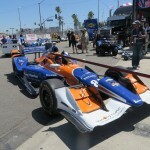 The race will be streamed live on ESPN3 and shown tape delayed Sunday 27 May 2012 at 11pm EDT on NBC Sports Network.